Sidney Smith Hall Rm 2084, 100 St. George St.
· The New Books Network produced a podcast (12 June 2018) about Red Saxony: the interview was conducted by J. Ryan Stackhouse. · In January 2019, Red Saxony was awarded the Hans Rosenberg Book Prize by the Central European History Society of the American Historical Association as the Best Book in central European history published in 2017 (laudatio). · In January 2018, the Central European History Society awarded the Hans Rosenberg Article Prize – for the best article published in 2015 or 2016 – to my essay “Mapping the Red Threat: The Politics of Exclusion in Leipzig before 1914,” in Central European History 49, nos. 3/4 (2016): 341-82 (laudatio). See the recent story in Arts & Science News. · My new research project on August Bebel, the leader of Germany’s Social Democratic Party, yielded an article in December 2018: “August Bebel: A Life for Social Democracy,” Archiv für Sozialgeschichte 58 (2018): 145-161. 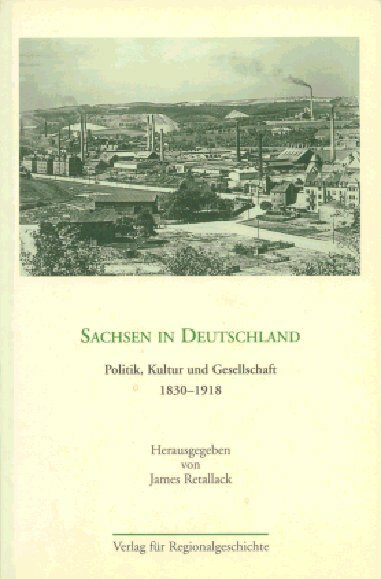 · Online Supplement to Red Saxony: Election Battles and the Spectre of Democracy in Germany, 1860-1918. Open Access site licensed under a Creative Commons Attribution-NonCommercial 4.0 International License. Published online 2017. After graduating from Trent University in 1978, I studied as a Rhodes Scholar at Oxford University and received my D.Phil. in 1983. I subsequently held SSHRC and Mactaggart postdoctoral fellowships at Stanford University and the University of Alberta. I joined the University of Toronto in 1987, where I am now Professor of History and German Studies (I served as Chair of the German Department from 1999 to 2002). I teach courses and supervise Ph.D. dissertations in German and European history from 1740 to 1945. My work has been assisted by research grants, fellowships, and prizes from the Killam Program at the Canada Council for the Arts, the John Simon Guggenheim Memorial Foundation, the Alexander von Humboldt Foundation, the Gerda Henkel Foundation, the German Academic Exchange Service (DAAD), the Connaught Program and the Jackman Humanities Institute at the University of Toronto, and the Social Sciences and Humanities Research Council of Canada (SSHRC). In 1993-4 I spent a year with my family at the Free University Berlin as a Humboldt Research Fellow and Visiting Professor in the Political Science department. I also held a Visiting Professorship in History at the University of Göttingen in 2002-3 when I was awarded the Friedrich-Wilhelm-Bessel Research Prize by the Humboldt Foundation, and I was a Visiting Scholar at the Bergische Universität Wuppertal when my prize was renewed in 2014. 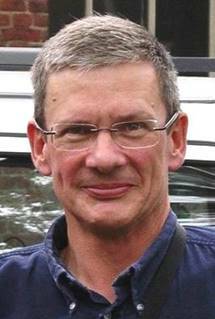 I became an elected Fellow of the Royal Society of Canada in 2011. I have organized a number of international conferences and workshops at the University of Toronto, the Free University Berlin, and elsewhere. I sit on the Advisory Board of German History, the journal of the German History Society (UK), the Editorial Board of German History in Documents and Images, and the Board of Directors of the Friends of the German Historical Institute, Washington, D.C. I also serve (with Simon Dixon and Mark Mazower) as General Editor of Oxford Studies in Modern European History. 1. August Bebel. A Life for Social Democracy. Planned biography, supported by Killam and Guggenheim Research Fellowships, a SSHRC Insight Development Grant, and a SSHRC Insight Grant. (100,000 words.) In progress. 2. Wahlpolitik und Demokratiefurcht im Kaiserreich. A revised German edition of Red Saxony is forthcoming in Beiträge zur Geschichte des Parlamentarismus und der politischen Parteien, Reihe Parlament und Öffentlichkeit (Düsseldorf: Droste Verlag, 2020). (300,000 words.) Translation two-thirds completed. 3. 2nd revised and expanded edition of Forging an Empire: Bismarckian Germany (1866-1890) / Reichsgründung: Bismarcks Deutschland (1866-1890), ed. James Retallack. Published online in English and German as volume 4 of the 10-volume digital history anthology, German History in Documents and Images / Deutsche Geschichte in Dokumenten und Bildern. German Historical Institute, Washington, DC. Completed April 2018 (approx. 25% new content) and in press. 4. “August Bebel: Ein Sozialdemokrat gegen Eroberungskrieg und Verpreußung.” Commissioned article for the exhibition “Krieg und Nation,” Militärhistorisches Museum der Bundes­wehr, Dresden, in progress. I cherish many types of collaboration with MA and PhD students. As well as supervising research projects and comprehensive field preparations, I have worked with most of the students listed below in organizing workshops, symposia, and conferences, preparing monographs and co-edited volumes for publication, and conducting field research in German archives. My first scholarly essay co-authored with a graduate student was recently published as James Retallack and Marc-André Dufour, “The »Non-Voter«: Rethinking the Category,” in Parlamentarismuskritik und Antiparlamentarismus in Europa, edited by Marie-Luise Recker and Andreas Schulz (Düsseldorf: Droste Verlag, 2018), 235-252. 1. Eriks Bredovskis, “Gender, Class, Space, and Sensory Experience in Berlin’s Transit System, 1888-1933” (entered PhD program 2016, ABD). 2. Marc-André Dufour, “Germany’s Destiny: Political and Military Conceptions of Germany’s Future, 1896-1925” (entered PhD program 2011, ABD). 3. Michael Weaver, “State Leaders, Public Intellectuals, and German Unification, 1849-1871” (entered PhD program 2016, ABD). 1. Gavin J. Wiens, “In the Service of Kaiser and King: State Sovereignty, Nation-Building, and the Imperial German Army, 1866-1918.” PhD diss. 2019 (Currently: independent scholar). 2. Anthony Cantor, “Our Conservatories? Music Education, Social Identities and Cultural Politics in Germany and Austria, 1840-1933.” PhD diss. 2015 (Currently: Researcher, Cineflix Productions). 3. Geoffrey Hamm, “British Intelligence and Turkish Arabia: Strategy, Diplomacy, and Empire, 1898-1918.” PhD diss. 2012. (Currently: Publications Assistant, PLoS - Public Library of Science, San Francisco). 4. Deborah J. Neill, “Transnationalism in the Colonies: Cooperation, Rivalry, and Race in German and French Tropical Medicine, 1880-1930,” PhD Diss. 2005, published as Networks in Tropical Medicine: Internationalism, Colonialism, and the Rise of a Medical Specialty, 1890-1930 (Stanford: Stanford University Press, 2012) (Currently: Associate Professor of History and Undergraduate Program Director, York University, Toronto). 5. Lisa M. Todd, “Sexual Treason: State Surveillance of Infidelity and Immorality in World War I Germany,” PhD Diss. 2005, published as Sexual Treason in Germany During the First World War (Palgrave Macmillan, 2017). (Currently: Associate Professor of History and Fellow, Gregg Centre for the Study of War and Society, University of New Brunswick, Fredericton). · Benjamen Crase, 2014, All Souls Historical Essay Prize, awarded by the Department of History for the best essay on a subject in the pre-modern and/or the modern period of history, for the term essay in HIS 440H, “Maps and History,” entitled “Favelas: A Study of Cartographic Portrayals of the Favelas of Rio de Janeiro." · Maia Balint, 2013, All Souls Historical Essay Prize, awarded by the Department of History for the term essay in HIS 440H, “Maps and History,” entitled “What’s In a Name?” (a study of Toronto street names, and their changing socio-political significance, mid-1800s to the present). · Anthony Cantor, 2011, Teaching Assistant of the Year, University of Toronto, Department of History. The list below includes a number of multi-authored volumes, many of which have arisen from international conferences held at the University of Toronto. Those conferences were generously supported by the SSHRC of Canada, the German Academic Exchange Service, the German Historical Institute, Washington, DC, the University of Toronto, and other scholarly institutions and funding agencies. I am deeply indebted to my graduate students, co-editors, and research assistants, without whom none of these collaborative volumes would have seen the light of day. 6. Forging an Empire: Bismarckian Germany (1866-1890) / Reichsgründung: Bismarcks Deutschland (1866-1890), ed. James Retallack. Published online in English and German as Volume 4 of German History in Documents and Images / Deutsche Geschichte in Dokumenten und Bildern. 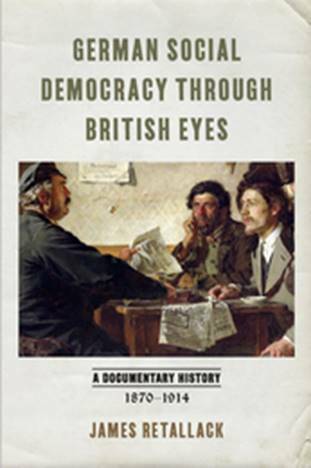 This 10-volume project was awarded the James Harvey Robinson Prize by the American Historical Association “for the teaching aid which has made the most outstanding contribution to the teaching and learning of history in any field for public or educational purposes.” German Historical Institute, Washington, DC, 1st edition 2007. 2nd revised and expanded edition (with approx. 30% new content) completed and in press. 9. Zwischen Markt und Staat. Stifter und Stiftungen im transatlantischen Vergleich [Between Market and State: Philanthropists and Foundations in Transatlantic Comparison], ed. Thomas Adam and James Retallack (Special Double Issue of Comparativ 11 , nos. 5-6). Leipzig: Leipziger Universitätsverlag, 2001. Pp. 190. · “August Bebel: A Life for Social Democracy,” Archiv für Sozialgeschichte 58 (2018): 145-161. · “The »Non-Voter«: Rethinking the Category,” co-authored with Marc-André Dufour, in Parlamentarismuskritik und Antiparlamentarismus in Europa, edited by Marie-Luise Recker and Andreas Schulz (Düsseldorf: Droste Verlag, 2018), 235-252. 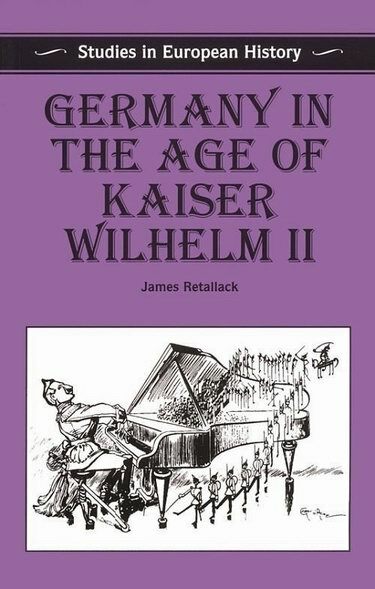 · “After the ‘German Civil War’ of 1866: Building the State, Embracing the Nation,” in Decades of Reconstruction: Postwar Societies, State-Building, and International Relations from the Seven Years’ War to the Cold War, edited by Ute Planert and James Retallack (Cambridge: Cambridge University Press, 2017), 198-215. · “The GSA and Canada,” invited essay for 40 Years of the German Studies Association, edited by Andreas Daum, Sabine Hake, and Brad Prager, Special Issue of German Studies Review 39, no. 3 (September 2016): 685-6. · “Reform or Revolution? 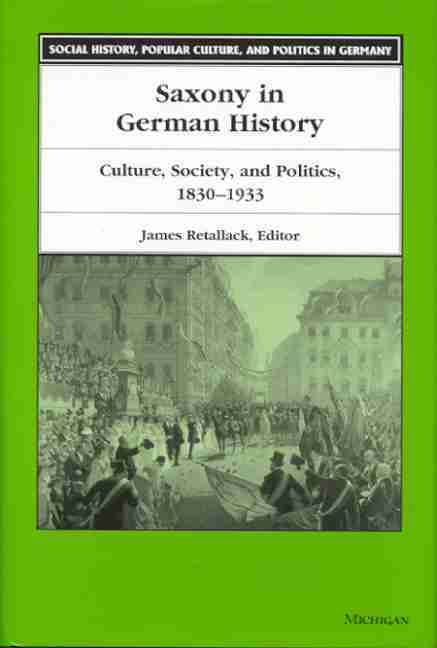 British Envoys to Germany and the Culture of Diplomacy, 1816-1905,” German History, vol. 31, no. 4 (2013), pp. 550-578. (Revised and expanded version in Retallack, Germany’s Second Reich, 2015). · “Digital History Anthologies on the Web: German History in Documents and Images,” co-authored with Kelly McCullough, Central European History 46, no. 2 (2013), pp. 346-361. (Revised and expanded version in Retallack, Germany’s Second Reich, 2015). · “‘Get Out the Vote!’ Elections without Democracy in Imperial Germany,” Bulletin of the German Historical Institute, Washington DC (Issue 51, Fall 2012), pp. 23-38. (Revised and expanded version in Retallack, Germany’s Second Reich, 2015). · Forum participant, “Modern German History and the Handbook,” German History, vol. 30, no. 2 (June 2012), pp. 247-264. · “‘To My Loyal Saxons!’ King Johann in Exile, 1866,” in Monarchy and Exile: The Politics of Legitimacy from Marie de Médici to Wilhelm II, ed. Torsten Riotte and Philipp Mansel. London: Palgrave Macmillan, 2011, pp. 279-304. (Revised and expanded version in Retallack, Germany’s Second Reich, 2015). · “The Authoritarian State and the Political Mass Market,” in Imperial Germany Revisited: Continuing Debates and New Perspectives, edited by Sven Oliver Müller und Cornelius Torp. New York and Oxford: Berghahn Books, 2011, pp. 83-96. (English version of “Obrigkeitsstaat und politischer Massenmarkt,” 2009) (Revised and expanded version in Retallack, Germany’s Second Reich, 2015). · “Bismarck, Engels, and The Role of Force in History. Friedrich Engels, Die Rolle der Gewalt in der Geschichte,” in Gewalt und Gesellschaft. Klassiker modernen Denkens neu gelesen, edited by Uffa Jensen, Habbo Knoch, Daniel Morat, Miriam Rürup, Göttingen: Wallstein, 2011, pp. 47-56. (Revised and expanded version in Retallack, Germany’s Second Reich, 2015). 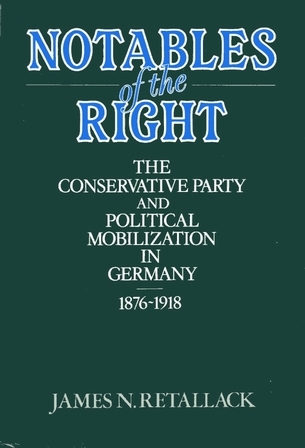 · “Obrigkeitsstaat und politischer Massenmarkt,” in Das Deutsche Kaiserreich in der Kontroverse, edited by Sven Oliver Müller and Cornelius Torp, Göttingen: Vandenhoeck & Ruprecht, 2009, pp. 121-135. · “Introduction,” in Imperial Germany 1871-1918, ed. Retallack (2008), pp. 1-17. · “Looking Forward,” in Imperial Germany 1871-1918, ed. Retallack (2008), pp. 264-275. · “Introduction” (coauthored with David Blackbourn), in Localism, Landscape, and the Ambiguities of Place, ed. Blackbourn and Retallack (2007), pp. 3-35. · “‘Native Son’: Julian Hawthorne’s Saxon Studies,” in Localism, Landscape, and the Ambiguities of Place, ed. Blackbourn and Retallack (2007), pp. 76-98. (Revised and expanded version in Retallack, Germany’s Second Reich, 2015). · “Zwei Vertreter des preußischen Konservatismus im Spiegel ihres Briefwechsels: Die Heydebrand-Westarp-Korrespondenz,” in “Ich bin der letzte Preuße.” Der politische Lebensweg des konservativen Politikers Kuno Graf von Westarp, ed. Larry Eugene Jones and Wolfram Pyta (Stuttgarter Historische Forschungen), Cologne, Weimar, Vienna: Böhlau, 2006, pp. 33-60. (Revised and expanded version in Retallack, Germany’s Second Reich, 2015). · “‘Something Magical in the Name of Prussia …’ British Perceptions of German Nation Building in the 1860s,” in Germany’s Two Unifications: Anticipations, Experiences, Responses (New Perspectives in German Studies), edited by Ronald Speirs and John Breuilly. Basingstoke and New York: Palgrave, 2005, pp. 139-154. · “Wahlrechtskämpfe in Sachsen nach 1896,” Dresdner Hefte 22, no. 4 (Heft 80) (2004), Themenheft: Das “Rote Königreich” und sein Monarch, pp. 13-24. 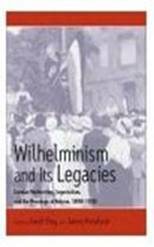 · “Ideas into Politics: Meanings of ‘Stasis’ in Wilhelmine Germany,” in Wilhelminism and Its Legacies, ed. Eley and Retallack (2003), pp. 235-252. · “Introduction. Locating Saxony in the Landscape of German Regional History,” in Saxony in German History, ed. Retallack (2000), pp. 1-30. · “Conservatives and Antisemites in Baden and Saxony,” in Saxon Signposts, ed. Retallack (1999), pp. 507-526. · “Society and Politics in Saxony in the Nineteenth and Twentieth Centuries: Reflections on Recent Research,” in Archiv für Sozialgeschichte 38 (1998): 396-457. · “‘Why Can’t a Saxon be More Like a Prussian?’ Regional Identities and the Birth of Modern Political Culture in Germany, 1866-67,” Canadian Journal of History 32 (1997), pp. 26-55. · “Election Campaigns and Franchise Struggles in Regional Perspective,” German History 13, no. 1 (1995): 70-79. · “From Pariah to Professional? The Journalist in German Society and Politics, from the Late Enlightenment to the Rise of Hitler,” German Studies Review 16 (1993), pp. 175-223. 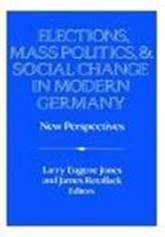 · “Anti-Socialism and Electoral Politics in Regional Perspective: the Kingdom of Saxony,” in Jones and Retallack, eds., Elections, Mass Politics, and Social Change in Modern Germany (1992), pp. 49-91. 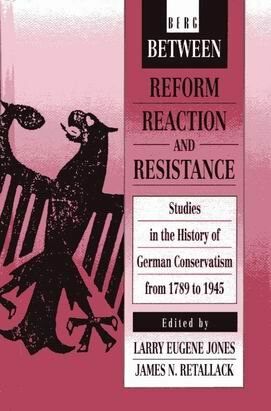 · “‘What is to Be Done?’ The Red Specter, Franchise Questions, and the Crisis of Conservative Hegemony in Saxony, 1896-1909,” Central European History 23 (December 1990), pp. 271-312 [published 1992]. · “Conservatives contra Chancellor: Official Responses to the Spectre of Conservative Demagoguery from Bismarck to Bülow,” Canadian Journal of History 20 (August 1985), pp. 203-236. · Interview, “U of T historian honoured …,” for Arts & Science News, 24 January 2019. · Interview, “Red Saxony,” for New Books Network (German Studies) (60-minute podcast), interviewed by J. Ryan Stackhouse, Ottawa, 22 May 2018, online 12 June 2018. · Interview, “Germany’s Second Reich,” for Radio Sweden P1, “Vetenskapsradion Historia” (45-minute podcast on history and archaeology), interviewed by Tobias Svanelid, Toronto, 16 March 2018. · Interview, “The GHI at 30: Anniversary Video,” by the German Historical Institute, Washington, D.C., 2017: https://vimeo.com/238113559 (at 05:15). · “August Bebel, Celebrity, and the Pitfalls of Biography.” Conference paper as part of the panel, "Leben Schreiben: Historische Biographien als Impulsegeber für die Geschichtswissenschaft?" [Writing Lives: Do Historical Biographies Challenge the Practice of History? ], Annual Meeting of the German Studies Association, San Diego, 29 September - 2 October 2016. · “‘A Time in Between’: The Strange Survival of Monarchical Saxony, 1866.” Conferences paper presented at the 2016 Humboldt Kolleg: “Time,” Munk School of Global Affairs, University of Toronto, 6 May 2016. · “Finding the ‘Workers’ Emperor’: August Bebel and Social Democracy in the World.” Paper presented at the workshop “Challenges of Writing Biography Today.” Munk School of Global Affairs, University of Toronto, 5 May 2016. · Profiled in Canadian excellence, Global recognition: Celebrating recent Canadian winners of major international research awards, by Universities Canada, print and online 10 March 2016: http://www.univcan.ca/media-room/publications/canadian-research-global-recognition/; and http://www.univcan.ca/innovators/james-retallack/ (p. 11). · “Reflections” at book launch of James Retallack, Germany’s Second Reich: Portraits and Pathways, with comments by James Brophy (Delaware), Doris Bergen (Toronto), Walter Stechel (Consul General of the Federal Republic of Germany, Toronto), and Richard Ratzlaff (University of Toronto Press). Sponsored by the DAAD / University of Toronto Joint Initiative in German and European Studies, the Centre for European, Russian, and Eurasian Studies, and the Department of History. Munk School of Global Affairs, University of Toronto, 23 October 2015. · Interview: “Preisgekrönte Geschichtsforschung: DAAD-Alumnus James Retallack in Gespräch.” DAAD Aktuell, interviewed by Christine Mattauch, 21 August 2015. · Invited paper, “The Non-Voter: Rethinking the Category,” delivered at the conference “Criticism of Parliamentarism and Anti-Parliamentarism in Europe since 1789,” 5th EuParl.net Conference sponsored by the European Information and Research Network on Parliamentary History and the Kommission für Geschichte des Parlamentarismus und der politischen Parteien (KGParl), Berlin, 7-8 May 2015 (revised book chapter published 2018). · Invited participant, Final Roundtable, “Looking Back into the Future,” at the German Academic Exchange Service (DAAD) Alumni Conference, “Migration and Multiculturalism in Germany and Canada,” Toronto, 1-2 May 2015. 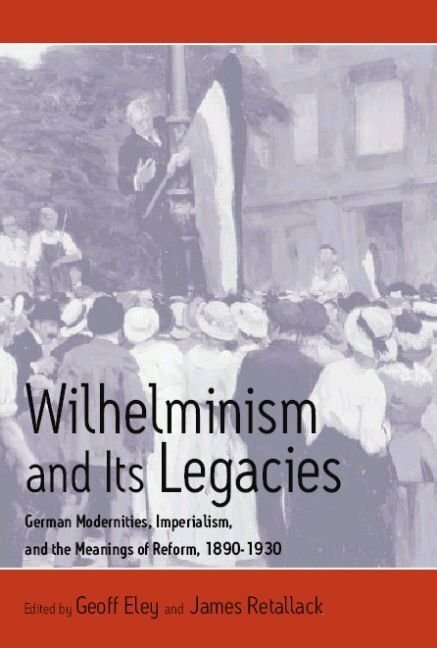 · Invited lecture, “Annihilating the Red Spectre: Suffrage Reforms in the Kaiserreich,” Bergische Universität Wuppertal, Historisches Seminar, 14 October 2014. · Moderator, Roundtable Session, “Frank Trommler’s Weltmacht ohne Kompass,” at the Annual Meeting of the German Studies Association, Kansas City, 18-21 September 2014. · Invited Moderator and Commentator, Session I, “The Europeans,” at the conference “1914-1918: The Making of the Modern World,” Bill Graham Centre for Contemporary International History and Munk School of Global Affairs, University of Toronto, 30 July 2014. 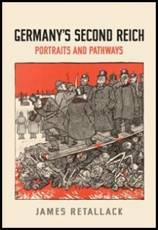 · Review of British Images of Germany: Admiration, Antagonism and Ambivalence, 1860–1914. By Richard Scully. Basingstoke: Palgrave Macmillan. 2012. In German History, vol. 31, no. 4 (2013): 315-6. · Invited Participant, 110th Rhodes Anniversary, University of Oxford, 18-21 September 2013. · Moderator and Discussant, Session VI, Closing Roundtable, at the conference “Decades of Reconstruction: Postwar Societies, Economies, and International Relations, from the 18th to the 20th Century,” University of Toronto, 3-4 May 2013. · Invited Discussant at the conference “The Second Generation: German Émigré Historians in the Transatlantic World, 1945 to the Present,” and invitee to “The GHI at 25: A Celebration,” German Historical Institute, Washington, D.C., 17-19 May 2012. · Invited public lecture, “Voters without Democracy: Elections in Imperial Germany,” in the lecture series “Get Out the Vote! Mobilization, Media, and Money,” German Historical Institute Washington, D.C., 12 April 2012. · Principal session organizer, “Society and Democracy in Germany: Why Dahrendorf Still Matters,” and paper giver, “Democratization and German Society: Why the Fluchtpunkt of 1933 Still Matters,” German Studies Association, Annual Meeting, Louisville, 24 September 2011. (Revised and expanded version in Retallack, Germany’s Second Reich, 2015). 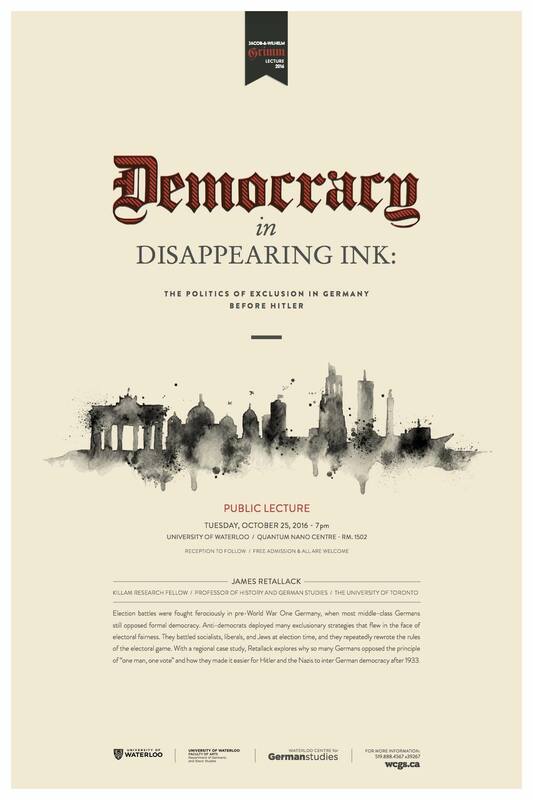 · Invited lecture, “Democracy in Disappearing Ink. Suffrage Reform as Coup d’Etat: Germany in the 1890s,” presented at the Max Kade Center for European and German Studies, Vanderbilt University, Nashville, 15 April 2011. (Revised and expanded version in Retallack, Germany’s Second Reich, 2015). · Invited seminar presentation, “The German Right: Personal and Historiographical Reflections,” Department of History, Vanderbilt University, Nashville, 15 April 2011. · Invited seminar presentation, “German Antisemitism, from the Nineteenth Century to the Visual Turn,” Centre for Jewish Studies, University of Toronto, 17 March 2011. · Invited speaker (with H.W. Smith, Vanderbilt), “Continuities in German History: A Public Discussion,” Department of History and Canadian Centre for German and European Studies, York University, Toronto, 11 February 2011. · at the Annual Meeting of the German Studies Association, Washington, D.C., 8-11 October 2009. · Invited speaker, “German Civil Wars: Nationhood, Memory, and the ‘Traumas’ of Defeat,” at the conference “Moving On: Memory and Trauma in History,” Tulane University, New Orleans, 21-24 October 2009. · Roundtable Participant, “In Honor of Roger Chickering (3): The Total History of Total War, A Book Discussion,” at the Annual Meeting of the German Studies Association, Washington, D.C., 8-11 October 2009. 1. Convenor, “Challenges of Writing Biography Today: A Workshop,” with contributions from Simone Lässig (Washington D.C.), Volker R. Berghahn (Columbia), David Wilson (Toronto), and James Retallack. Sponsored by the DAAD / University of Toronto Joint Initiative in German and European Studies (JIGES), the Centre for European, Russian, and Eurasian Studies (CERES), and the Department of History. Munk School of Global Affairs, University of Toronto, 5 May 2016. 2. Co-convener (with Ute Planert), “Decades of Reconstruction: Postwar Societies, Economies, and International Relations, from the 18th to the 20th Century,” Department of History, University of Toronto, 3-4 May 2013. Sponsored by the German Historical Institute (GHI), Washington, D.C., the German Academic Exchange Service (DAAD), New York, and the Centre for European, Russian, and Eurasian Studies (CERES), Munk School of Global Affairs, University of Toronto. Conference Report by Rebecca Carter-Chand and Gavin Wiens on H-Soz-u-Kult and H-German. Conference proceedings published as Decades of Reconstruction: Postwar Societies, State-Building, and International Relations from the Seven Years’ War to the Cold War. 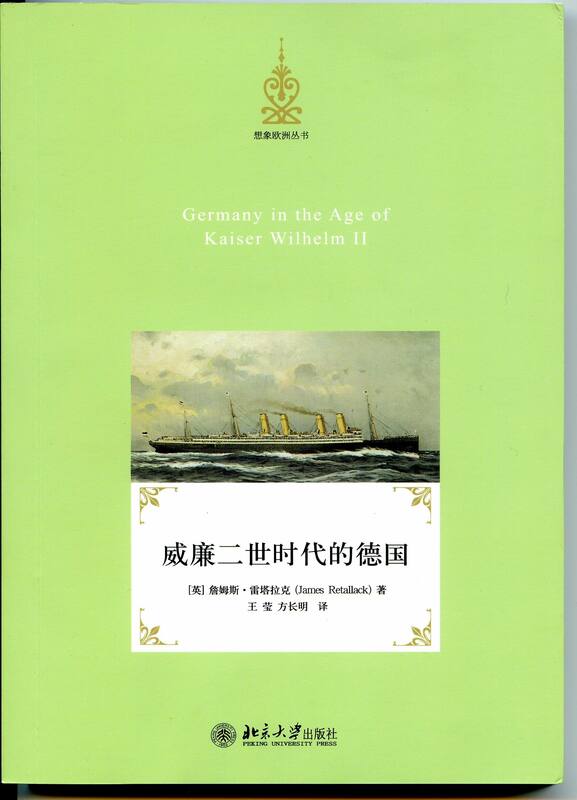 Publications of the German Historical Institute. Edited by Ute Planert and James Retallack. Cambridge: Cambridge University Press, 2017. 3. Co-convener (with Robert Beachy), “Civil Wars, Nation-Building, and Historical Memory in Global Perspective: Problems of Interpretation,” a workshop in the Department of History, University of Toronto, 8 April 2011. 4. Co-convener (with David Blackbourn), “Localism, Landscape, and Hybrid Identities in Imperial Germany,” a conference at the Munk Centre for International Studies, University of Toronto, 12-14 May 2005. Conference proceedings published as Localism, Landscape, and the Ambiguities of Place, ed. David Blackbourn and James Retallack (2007, pb. ed. 2015). 5. Principal Organizer, “Making Germany: Nationalist Thought and Public Culture in the Nineteenth Century,” a symposium at the Munk Centre for International Studies, University of Toronto, 16 April 2004. 6. Principal Organizer, “Local History as Total History,” a workshop at the Munk Centre for International Studies, University of Toronto, 25 February 2002. 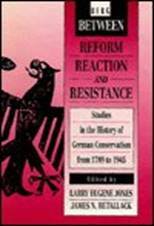 Conference Report by Deborah Neill and Lisa M. Todd in German History 20, no. 3 (July 2002): 373-78. 7. Co-convener (with Thomas Adam, Eckhardt Fuchs, and Andreas Daum), “Philanthropy, Patronage, and Urban Politics: Transatlantic Transfers between Europe and North America in the 19th and Early 20th Century,” a conference at the Munk Centre for International Studies, University of Toronto, 3-5 May 2001. (Co-Sponsor: German Historical Institute, Washington D.C.) Conference Proceedings published in German as Zwischen Markt und Staat, ed. Thomas Adam and James Retallack (2001), and in English as Philanthropy, Patronage, and Civil Society, ed. Thomas Adam (2004). 8. Co-convener (with Peter Steinbach), “Wahlkultur und Regionalismus in Deutschland, 1830-1933” [Electoral Culture and Regionalism in Germany, 1830-1933], a workshop at the Otto-Suhr-Institut, Freie Universität Berlin, 8 February 2001. 9. Principal Organizer, “From Emancipation to Restitution: Jews in German Society and Politics, 1800-2000,” a symposium at the Munk Centre for International Studies, University of Toronto, 12 September 2000. 10. Co-convener (with the German Historical Institute, Washington DC), “Memory, Democracy, and the Mediated Nation: Political Cultures and Regional Identities in Germany, 1848-1998,” a conference at the University of Toronto, 18-20 September 1998. 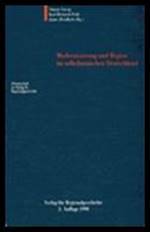 Conference proceedings published in English as Saxony in German History, ed. James Retallack (2000) and as Saxon Signposts, ed. 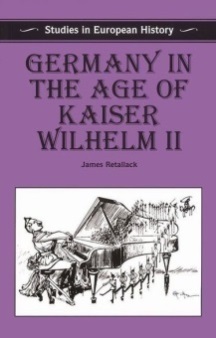 James Retallack (1999), and in German as Sachsen in Deutschland, ed. James Retallack (2000). 11. Co-convener (with Peter Steinbach and Jürgen Schmädeke), “Wahl- und Wahlrechtskämpfe im regionalen Vergleich” [Election and Suffrage Struggles in Regional Comparison], a workshop at the Historische Kommission zu Berlin, 10-11 June 1994. 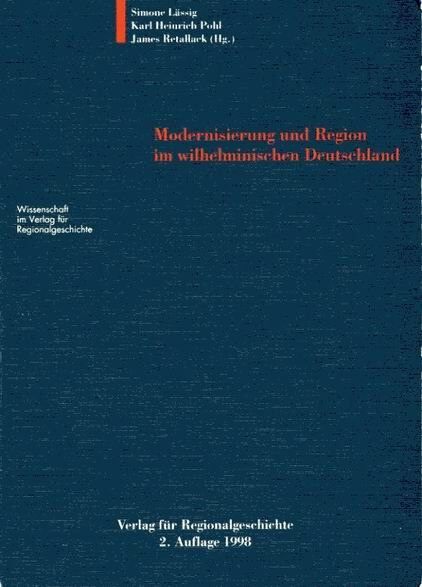 Conference proceedings published as Modernisierung und Region im wilhelminischen Deutschland, ed. Simone Lässig, Karl Heinrich Pohl, and James Retallack (1995, 2nd ed. 1998). 12. Principal Organizer, “Elections, Mass Politics, and Social Change in Germany, 1890-1945: New Perspectives,” a conference at the University of Toronto, 20-22 April 1990. 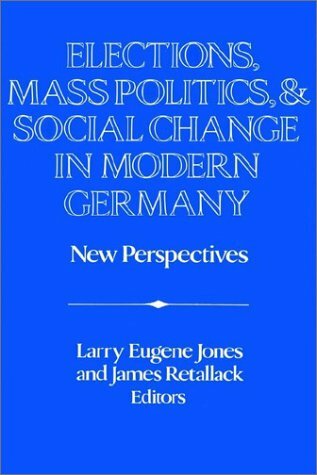 (Co-Sponsor: German Historical Institute, Washington, D.C.) Conference proceedings published as Elections, Mass Politics, and Social Change in Germany: New Perspectives, ed. Larry Eugene Jones and James Retallack (1992). German Historical Institute (GHI), Washington, D.C.
© Copyright 2019 James Retallack. All rights reserved.